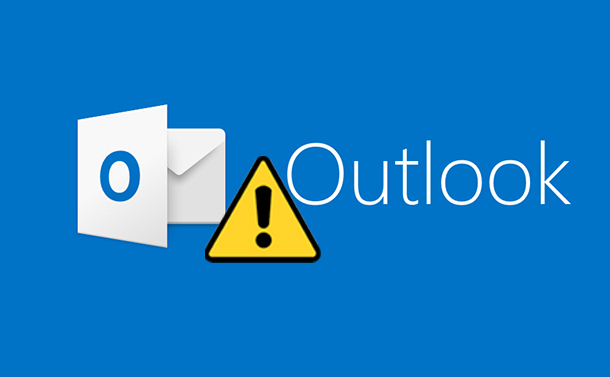 Microsoft Outlook has several bugs and errors that needs to be fixed. But, the most common error is Outlook Error 0x800ccc0f. This error displays the message: ‘The connection to the server was interrupted’. This problem occurs mostly while sending an email. So, in this article, today we will be looking at a step by step guide of how to fix ‘Outlook Error 0x800ccc0f’. There are various methods that can resolve Outlook Error 0x800ccc0f issue. We will talk about them one by one, and if the issue doesn’t resolve from the first then move onto the second method and so on. And once you are done, send yourself a test mail to ensure that your Microsoft Outlook in Windows 10 is working now. Open any Web Browser. For example, Google Chrome. Now, type any website name and press enter. By using web based email site, go to your mailbox and then delete the mails you think are inappropriate and suspicious. Or, ask your Internet Service Provider (ISP) to delete the emails. Open Microsoft Outlook, and then go to Send/Receive tab, and then press Work Offline. Note: Above step will stop Outlook from sending all the emails. Now, move all the emails to the Drafts folder. You can do this just by dragging the emails in to Drafts folder. Note: Above step will allow you to open, remove, resize, and re-add attachments to the emails before you resend them. Now in Drafts folder, right click the email, and then choose to delete. Note: Close Outlook if the message appears “Outlook is transmitting the message”. This may hang your system. You might need to close the Outlook application from the task manager. Restart the application again, and then repeat step 2. Go to Send/Receive tab, and then press Work Offline to deselect the option. This method will fix Outlook error 0x800ccc0f. Port 25 is for sending access, and port 110 is for receiving access by default. If you are having trouble about the ports, contact your service provider or system admin. Caution: Above given step is not recommended. This may make your system more vulnerable to virus or malicious attacks. Instead, use this step at your own risk. Below are steps given to start Outlook in safe mode. Follow these steps, according to the operating system that is installed on your system. In Windows 10, go to the search box. Type outlook.exe /safe, and press Enter. In Windows 8.1 or Windows 8, go to the right edge of the screen and swipe. Now, press Search. In Search type outlook.exe /safe and press Enter. In Windows 7 or Windows Vista, press Start, type outlook.exe /safe, and press Enter. Note: If there is any notification indication about the conflicting third-party applications or about add-ins, then create a new profile. Ensure that your Microsoft Outlook email settings are correct. Check your antivirus and its website for additional suggestions. Don’t use third party products, which is also a main reason for this error. So, this was the list of methods that you can use to fix Outlook error 0x800ccc0f. Follow the steps carefully and make sure you are connected to the internet.